This is the way I serve rice when it is something that has much sauce to it, such as a casseroles. So here are served rice and pasta often in the Middle East such as Egypt. I myself am not a big rice lover, but thanks to the pasta so the rice becomes airier and more humid. And actually I can eat this just like this without anything more add to it. Try you will certainly like it a lot. 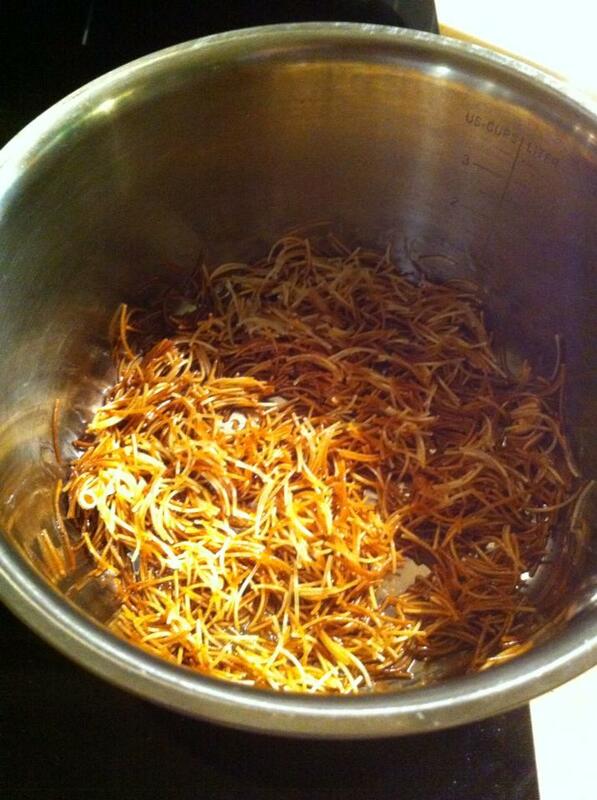 Heat a pan with oil and fry the vermicelli until it becomes dark brown. Stir constantly for it goes really fast. 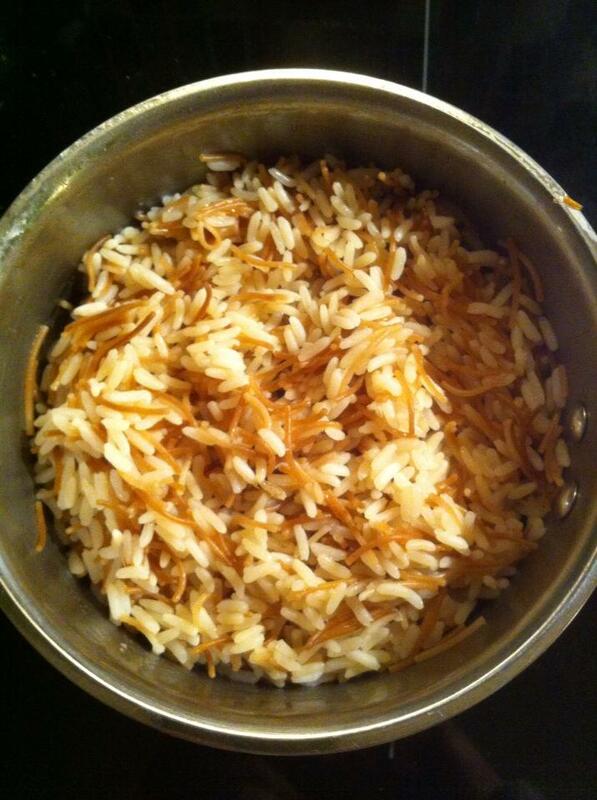 Then turn the rice and turn on so much water that it runs about 1 ½ inches above the rice. Add in salt. Bring to the boil. Continue to have it covered and reduce to the lowest heat. Simmer this until all the water has disappeared. Ready to be served. Delicious! I tried this recipe and loved how easy it was to make.